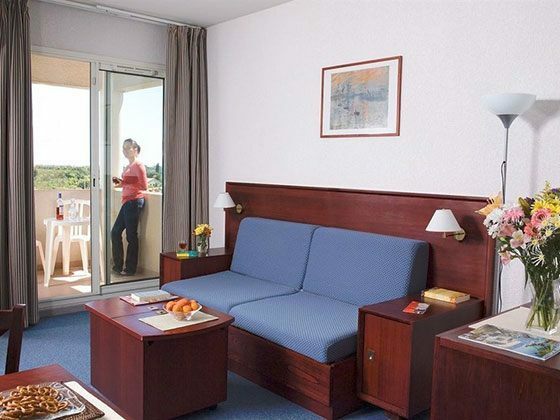 Our aparthotels in Montpellier offer studios for single or double occupancy as well as 2 room apartments for up to 4 people, so that families who join our French language courses in France can live together. This type of accommodation is an ideal alternative for more discerning participants, who wish independent accommodation during their language immersion program. 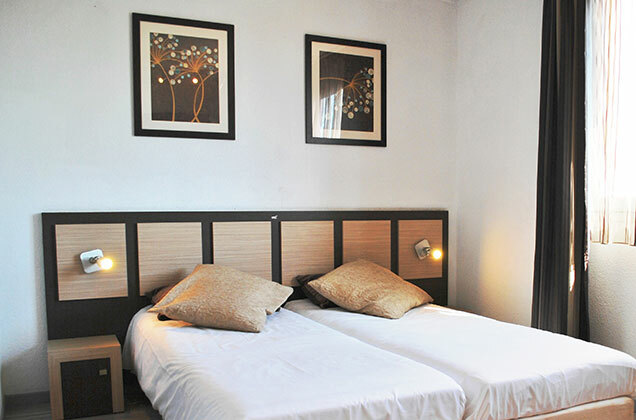 The aparthotels have good facilities, such as a fully equipped kitchenette, air-conditioning and free internet access. The infrastructure has a rooftop swimming pool. If you like, you can even have breakfast on site for an extra fee. 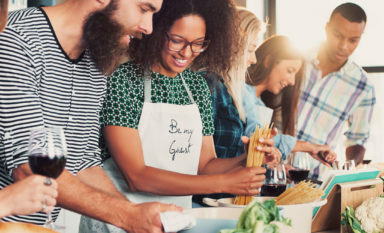 Learn French in France with Easy French in Montpellier and enjoy your residential French course with upmarket accommodation in the apartment hotel accommodation. The studios are about 25 m2 and have a private bathroom with shower, sink and toilet. 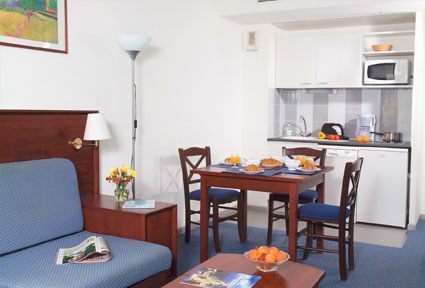 A fully equipped kitchenette with a fridge, stove as well as cutlery and crockery is at your disposal. The aparthotels are self-catering. The 2 room apartments for up to 4 people have an extra bedroom. 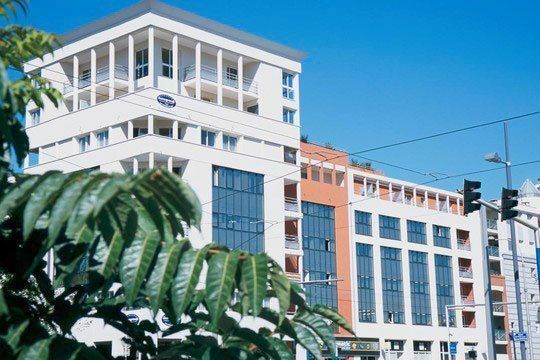 The apartment hotels are located between 10 and 20 minutes from our Easy French language school in Montpellier, our students use the tram to get there. 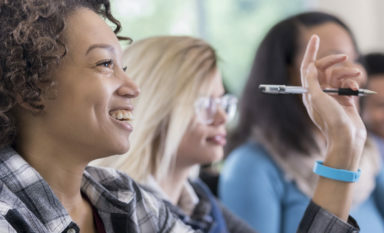 Around three weeks before you start your French language immersion program in France, you will receive detailed information about the apartment hotel, such as address, how to get there, equipment, etc. During your entire French language stay at our Easy French School in Montpellier, our Accommodation Coordinator will be happy to answer any questions you may have about your accommodation. At the end of your stay, you will receive a quality questionnaire to rate your stay, including your accommodation. This control allows us to constantly check the performance of our accommodation suppliers.